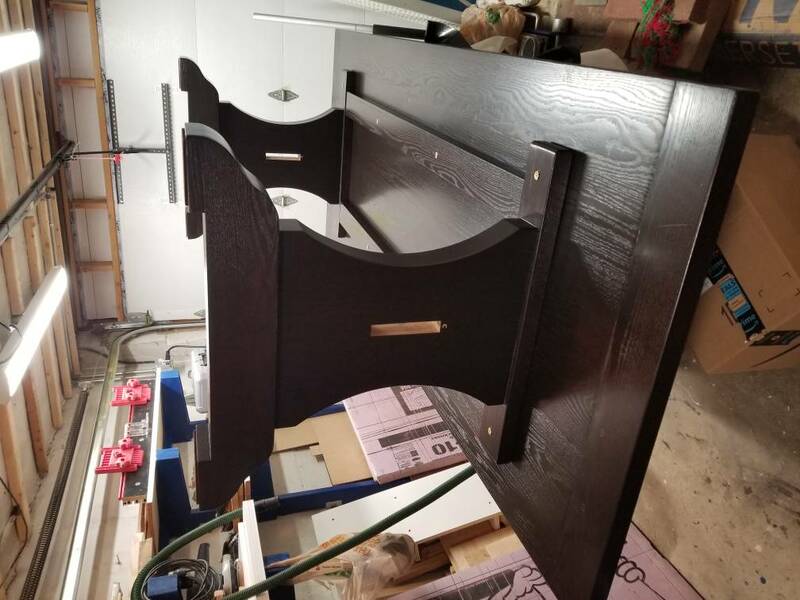 My wife and bought a house a few years ago and the previous owner left their dining set for us to use. 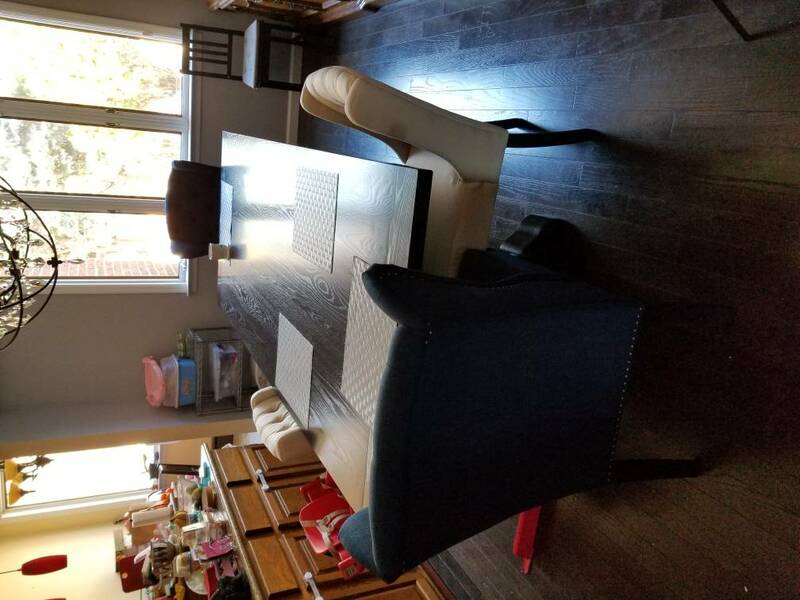 It served us well, but my we wanted a new look for the dining room. 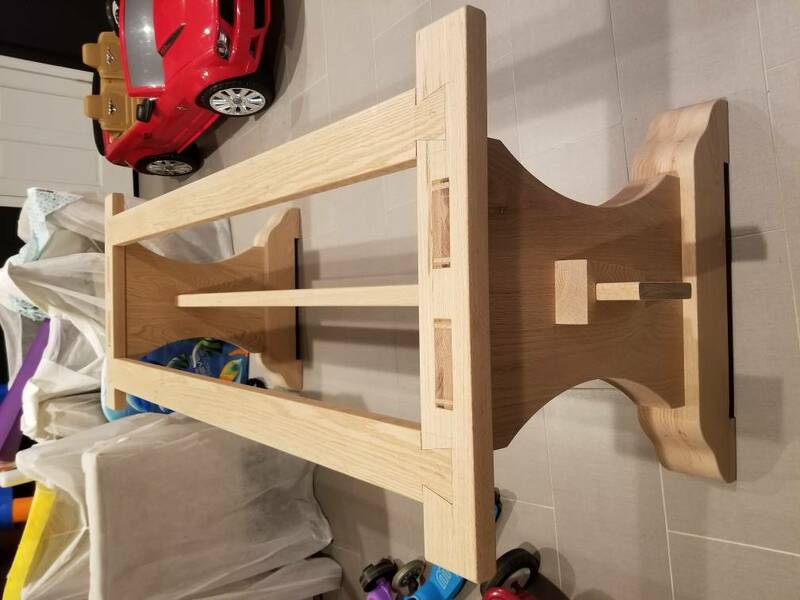 This was my first project using solid wood for everything. 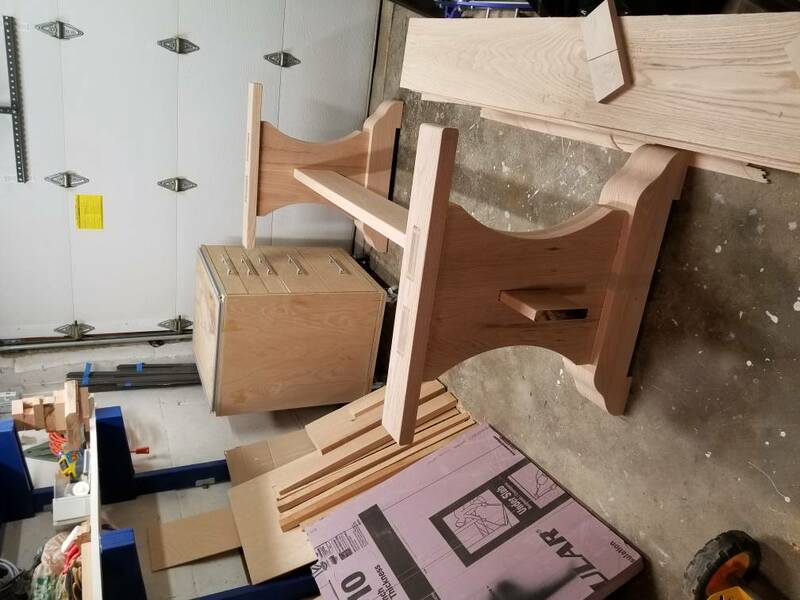 Also my first project of any significant scale using solid wood. 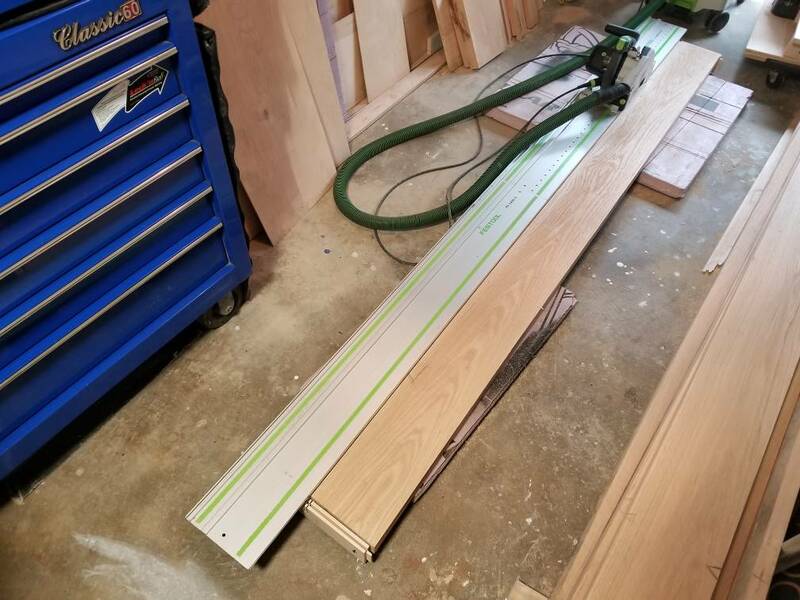 Being that I am a new home owner and relatively new to the hobby, I don't have a lot of tools. I live in NYC, so naturally I have a very small space. The garage shop is about 18'x8.5'. But beggars cannot be choosers and I am happy to have a space at all to work. The entire project was recorded and edited from my smart phone so please pardon the low quality. It took me six months of spare nights and weekends. Longest project by far. 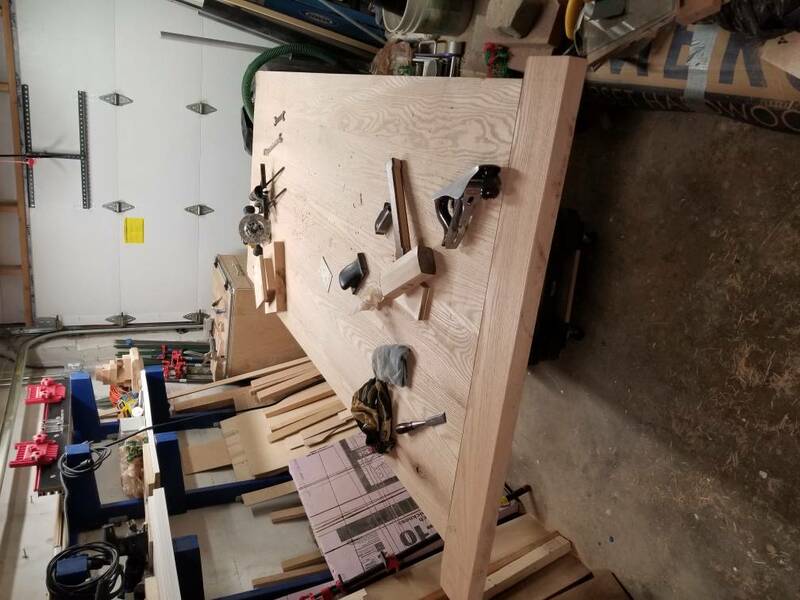 The table is made of flat sawn 8/4 Red Oak. It is 102" Long x 42" Wide. 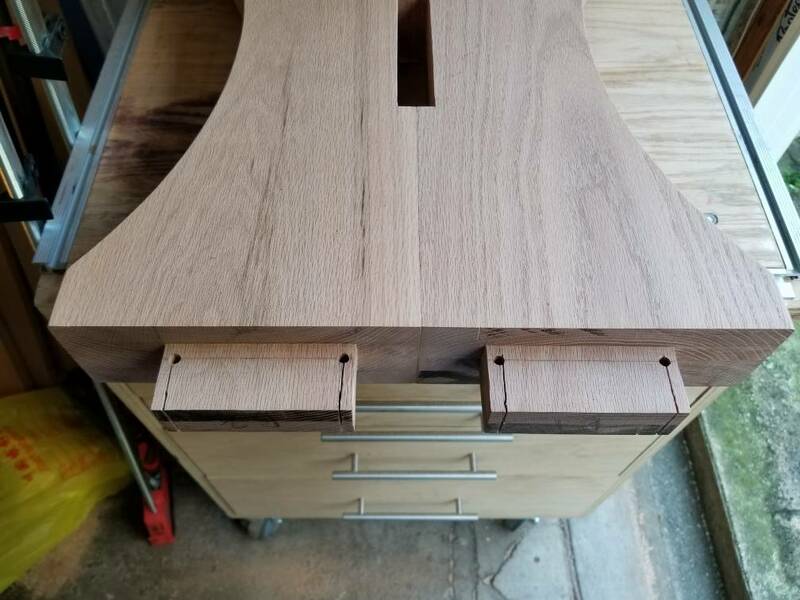 I used a combination of wedged mortise and tenons, dovetails and dominos for all of the joinery. 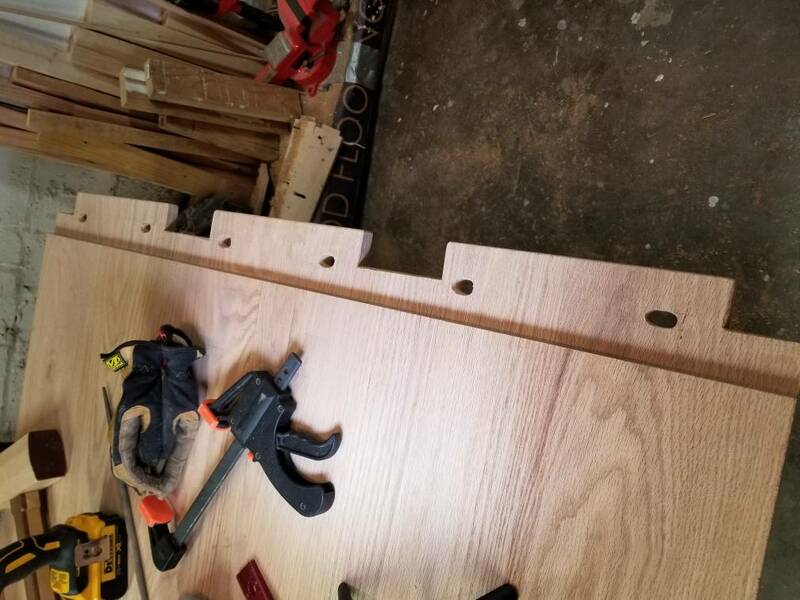 The breadboard ends were attached via drawbored dowels. 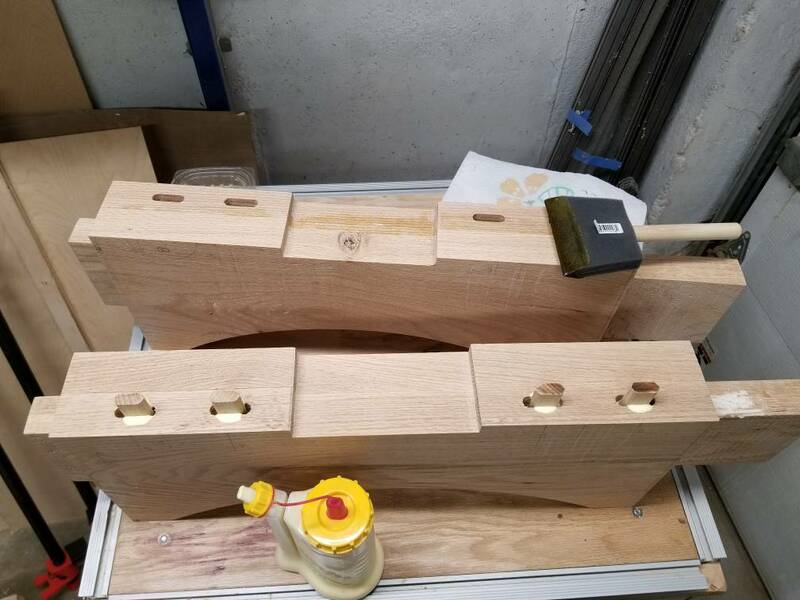 Some pictures of the build. 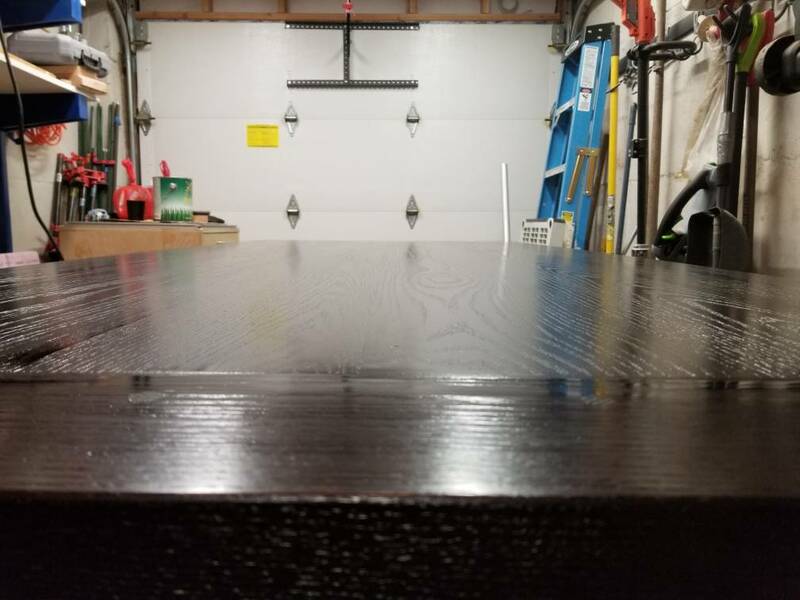 @Mantis806 - Congratulations on the completion of this ambitious undertaking considering what you had to work with, space, prior solid hardwood experience etc. You did this in the best spirit of the FOG forum - thank you once more! @Mantis806 , hang your head proud! Nice job. Can't wait to see what your next project is! That's one beautiful table!!! 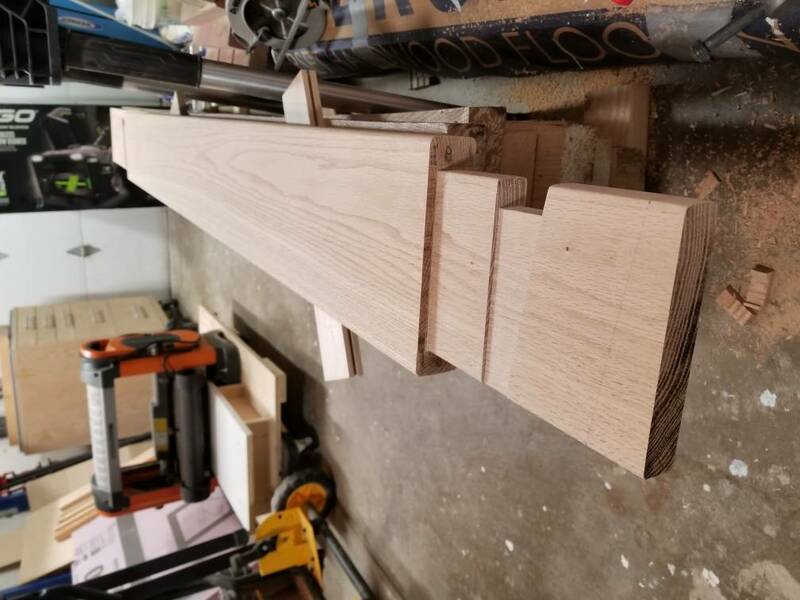 Must weigh half a ton, given the mass of red oak. Well done, and very well documented. Thanks for sharing the build. Well done all around! The details and craftsmanship is wonderful! I can't watch the video at work, but when I get home I'm watching it! Loved the video! Thank you for taking the time to put it together and for sharing. Very nice - I hope it doesn't fall to the floor below . Don’t have a lot of tools, whaaat? Looking pretty good there with a great project! Fantastic project. Really well documented. The mass of that table is amazing. 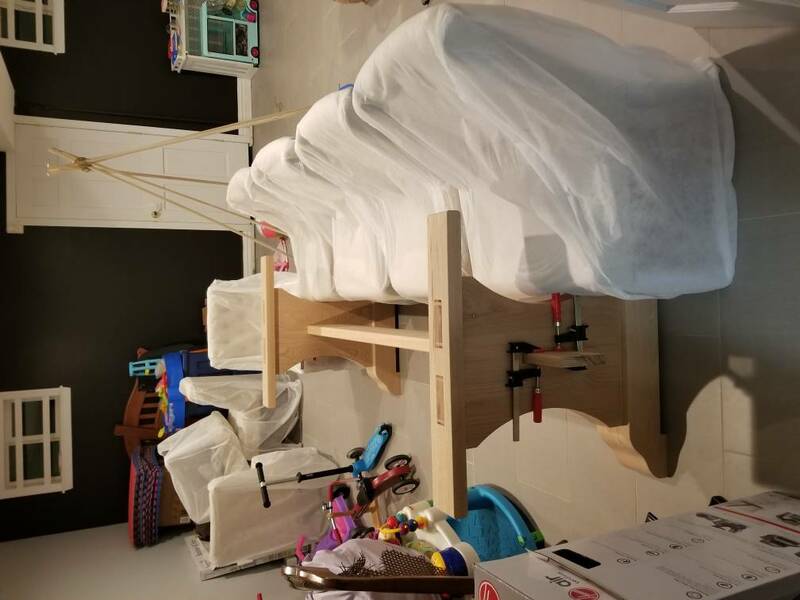 Heck, moving that table is a feat, much less making it! 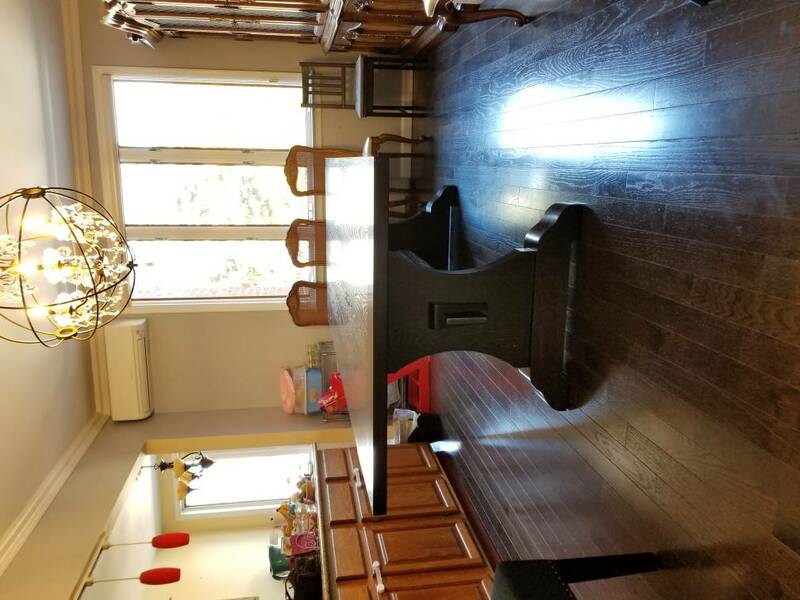 Super table and superb craftsmanship! Thank you for all the pictures. They are an inspiration. Thanks for sharing. Job well done! 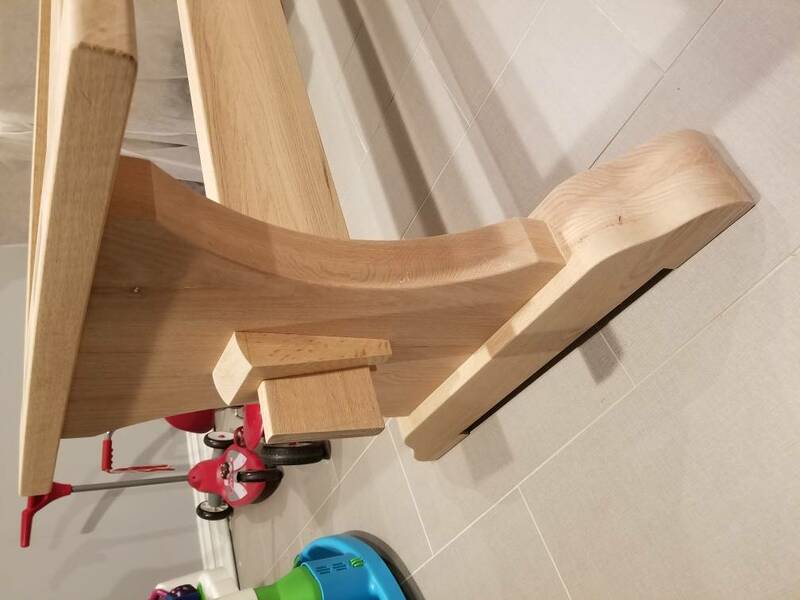 Question for you, what sources did you draw inspiration from as you designed and settled on the joinery for this project? Excellent work and thanks for the tutorial, very nice! Very nice!! Love the design. That’s a beast of a table and should last forever. I shudder to think what that oak cost. Might I inquire how much you laid out for it? Buying that quality and thickness of wood up here in Canada would take a second mortgage and then some. Thank you for all of the great feedback! The table it relatively heavy. The good thing is that it can all disassembled and "flat packed." The top is the heaviest. I'm estimating it to be about 200lbs. I don't mind the weight because I hate the feeling of a"flimsy" table. 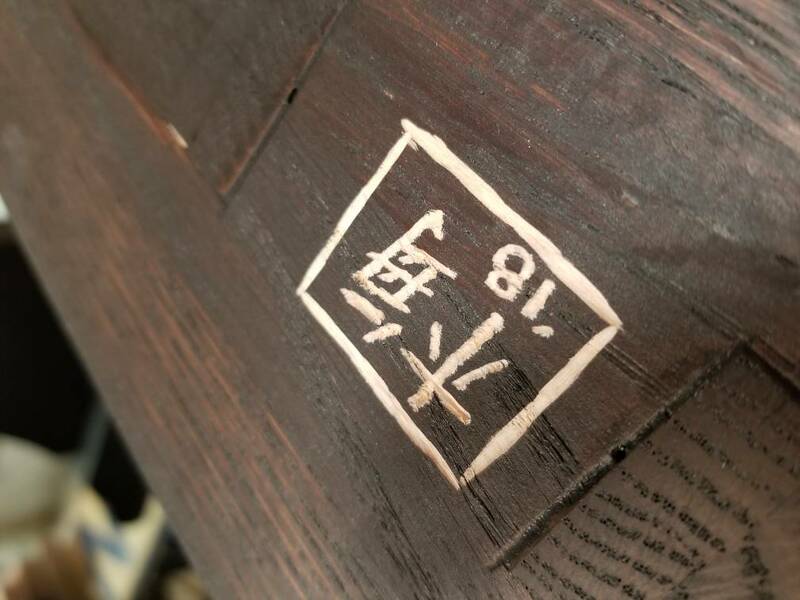 I looked at a lot of different dining tables to draw inspiration. I watched a lot of videos from Homestead Craftsman on YouTube. Ultimately, it came down to my wife picking something that she liked and me making my own modifications to it. My main goal was to eliminate the four leg design (farm table?) Therefore, a trestle concept was the default design choice. 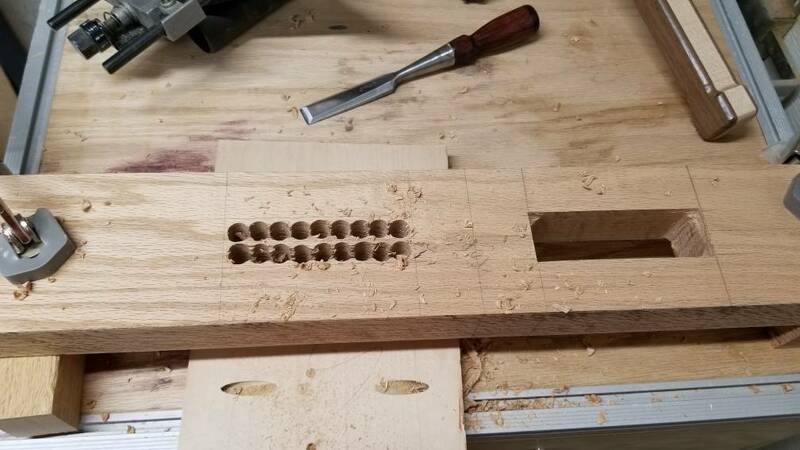 I also really liked the breadboard ends, so I knew I had to integrate that into the design. 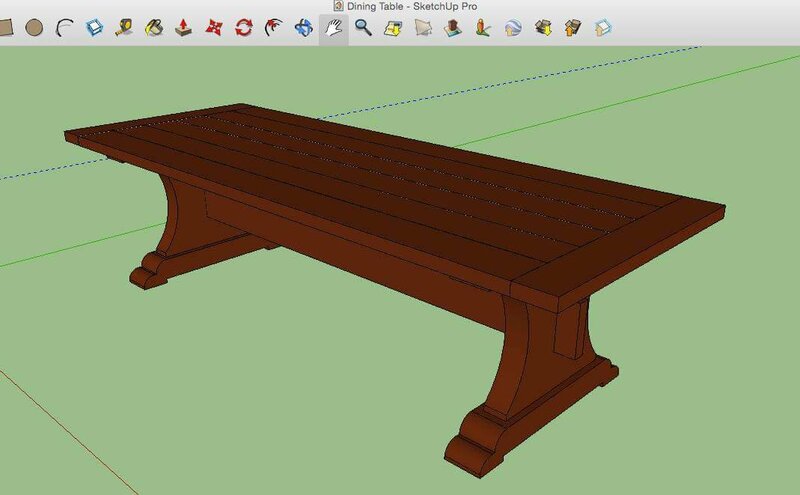 Overall, I had no concept of proper proportions other than Googling "proper" dining table size and height. 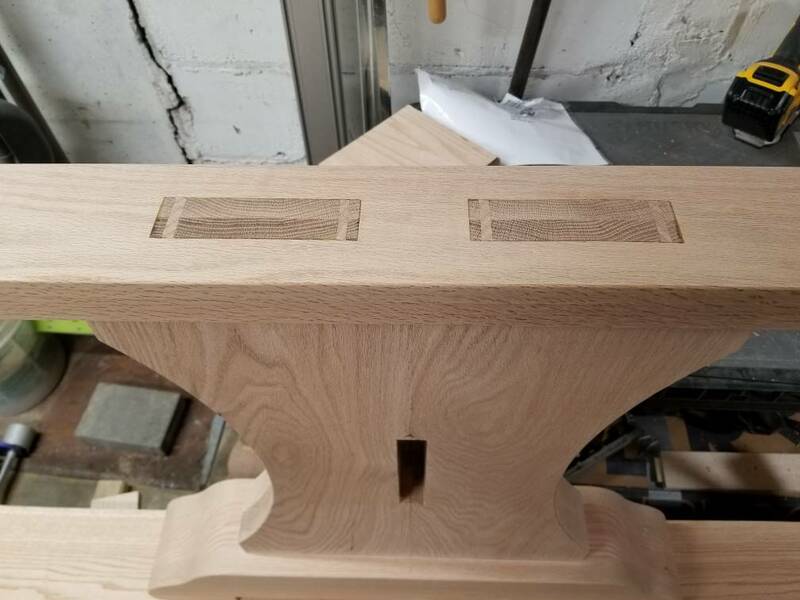 For the joinery, I was pretty lost. 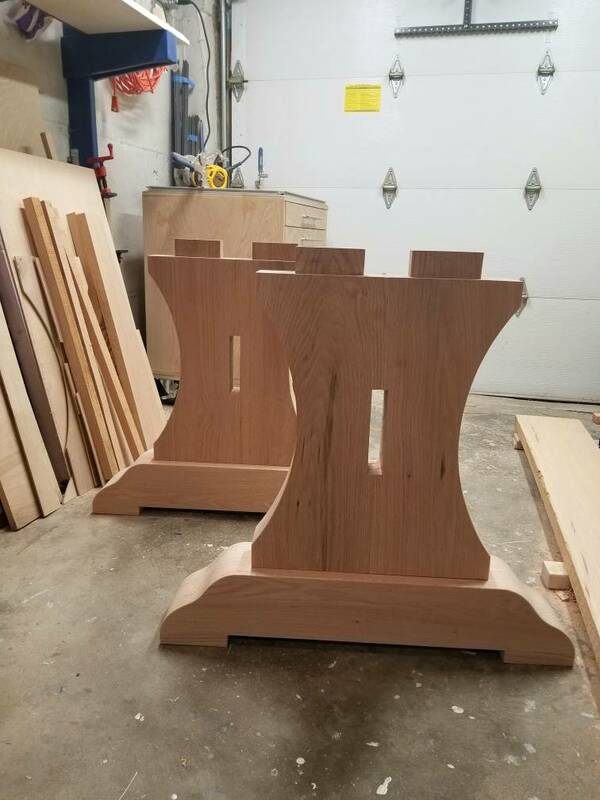 I didn't know if I was going to do through mortises, half mortises or dominos. I watched a lot of YouTube channels and got inspired by Samurai Carpenter and Third Coast Craftsman. I saw them using a lot of wedges and I really like that style of joinery. 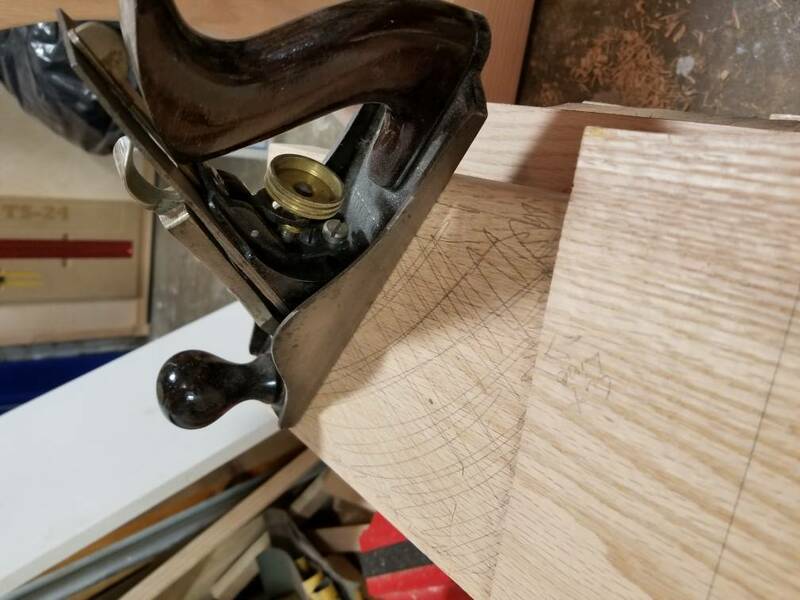 This was actually my first time (one of many firsts) trying to make a dovetail, so doing a dovetail half lap was a fun joint. My favorite joint is probably the middle table brace with the tusked wedge. I haven't seen this used a lot in my research, but I was excited on how it would ultimately look. Cutting the angles were a challenge, but I didn't use any machines on the tusks because they were smaller and I didn't want my hand so close to the TS blade while trying to do an angled cut. I cut most of that piece by hand using a Japanese pull saw and some wood guides to keep my lines straight. 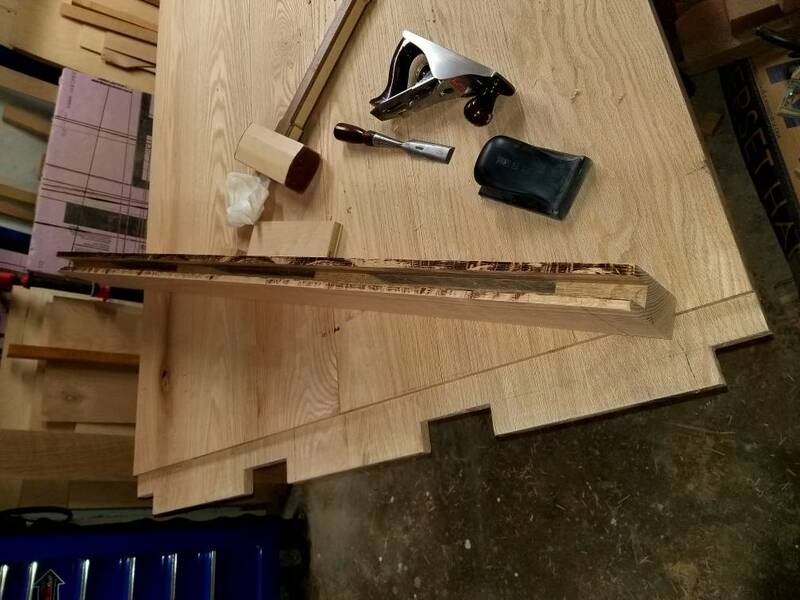 Another favorite was pounding the dowels into the breadboard ends. 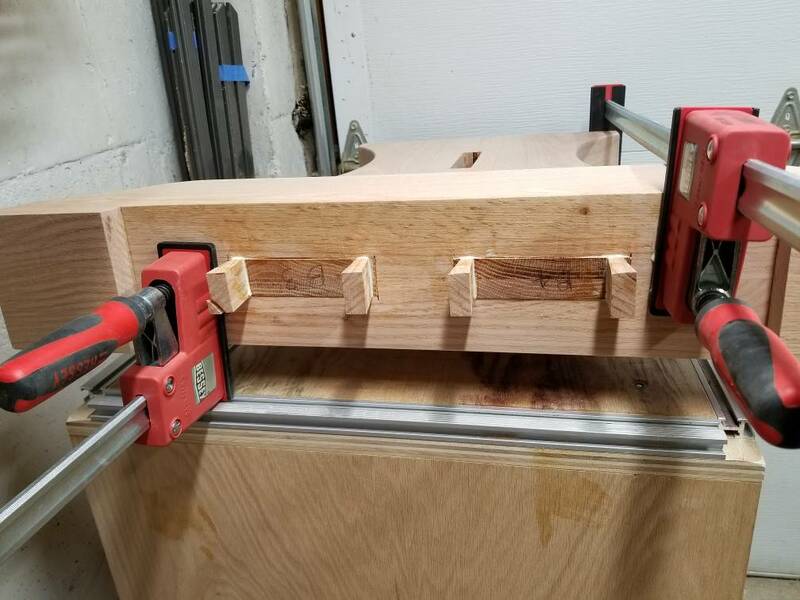 After all of the careful prep and test fitting, I was very excited to see the dowels actually pulling the joint tighter and that I had drilled the holes correctly. 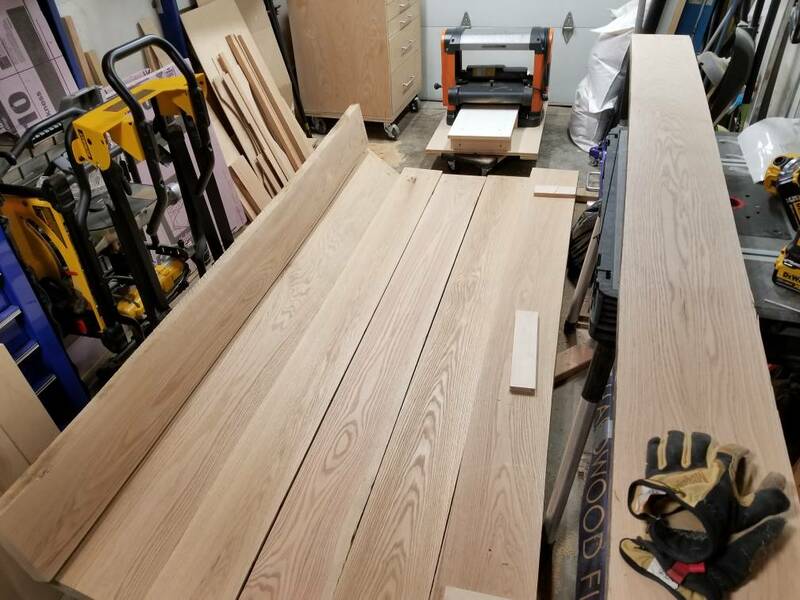 The total cost of all of the wood was a little over $900. 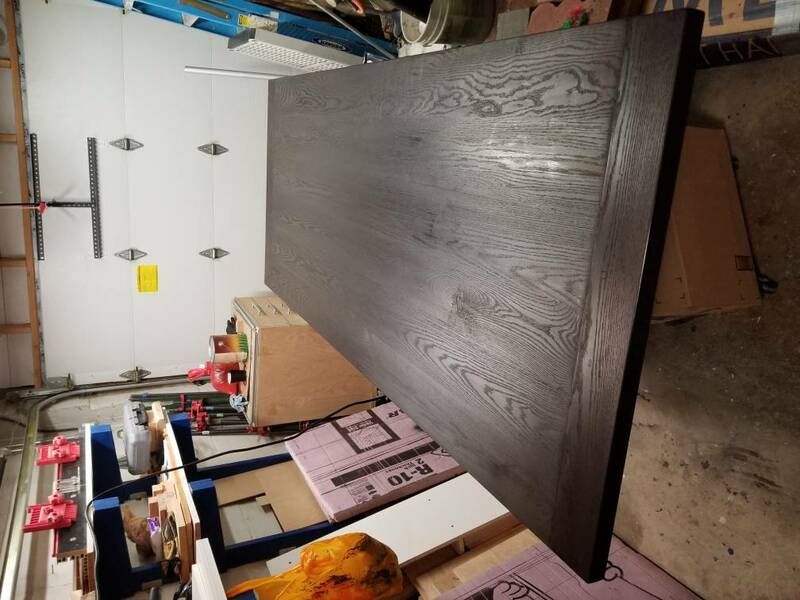 It was probably not the most economical project, but I take some solace in guessing that this table would cost a lot more if I purchased it elsewhere of comparable quality. 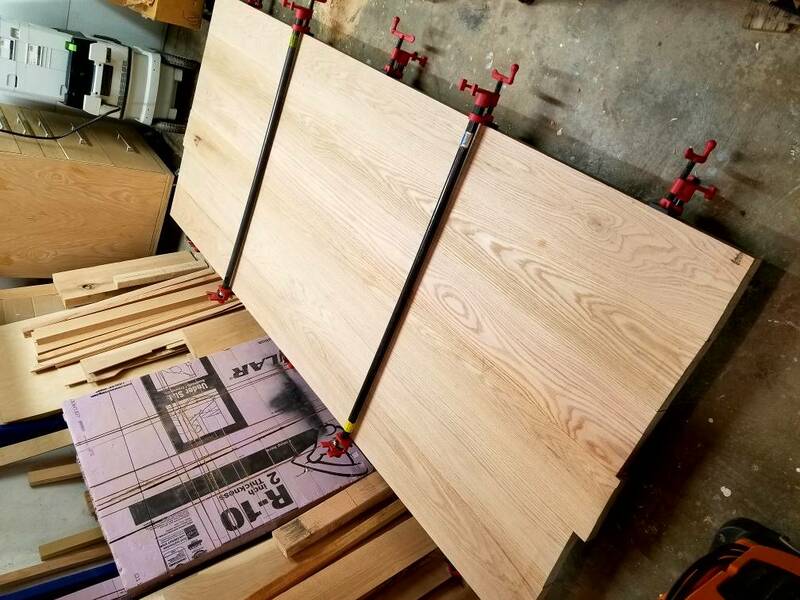 I dived into the project estimating the cost based on the price per board foot from my local lumber store, but I had no idea of how many board feet I would ultimately need. That's awesome, thanks for sharing! Now I have a watchlist for the weekend! You did such a great job with the joinery, including some I hadn't seen before. BEAUTIFUL work. 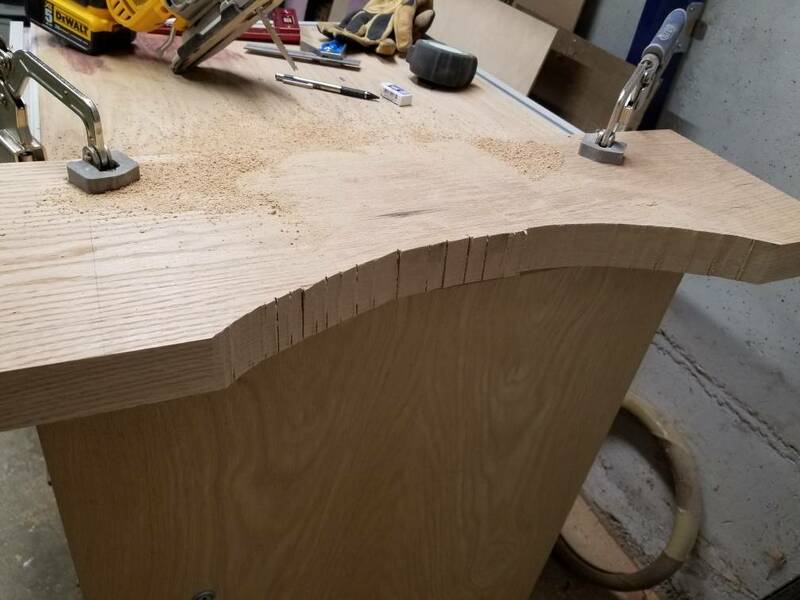 Hopefully you made sure to alternate the growth rings on that non QS oak for the top? Yes, the table to layout was a pain staking process. The boards were heavy and I was trying to get around the "unusable" material. I also tried to minimize the knots and splitting in the final product. 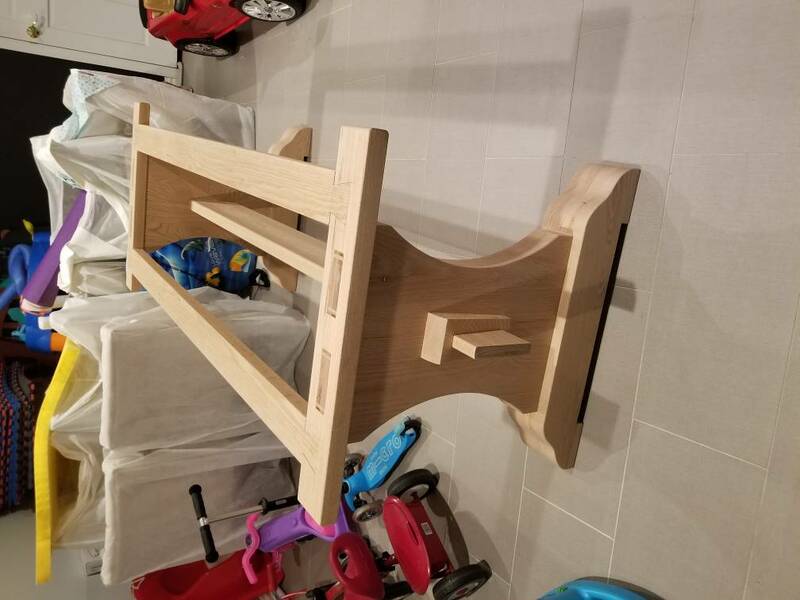 While building the table, I did not know what color stain my wife would eventually settle on. 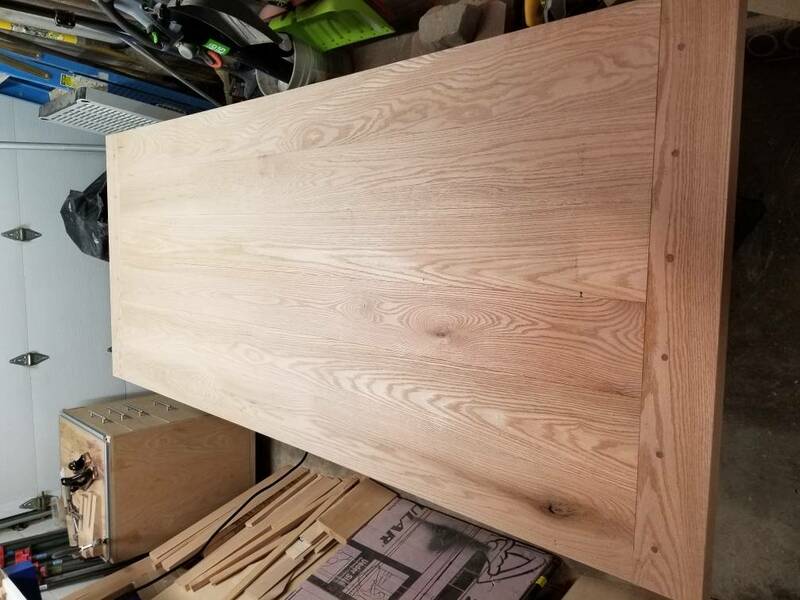 (I wish I had know how dark it was going to be at the beginning) I tried my best to match the grain patterns and color on all adjacent boards. 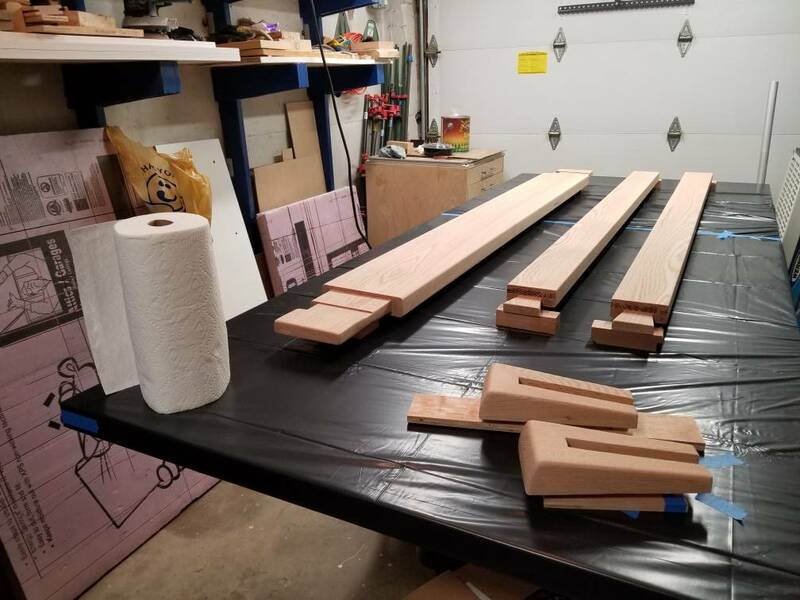 All that while keeping in mind that I had six boards total and three needed to be "up" and three needed to be "down". 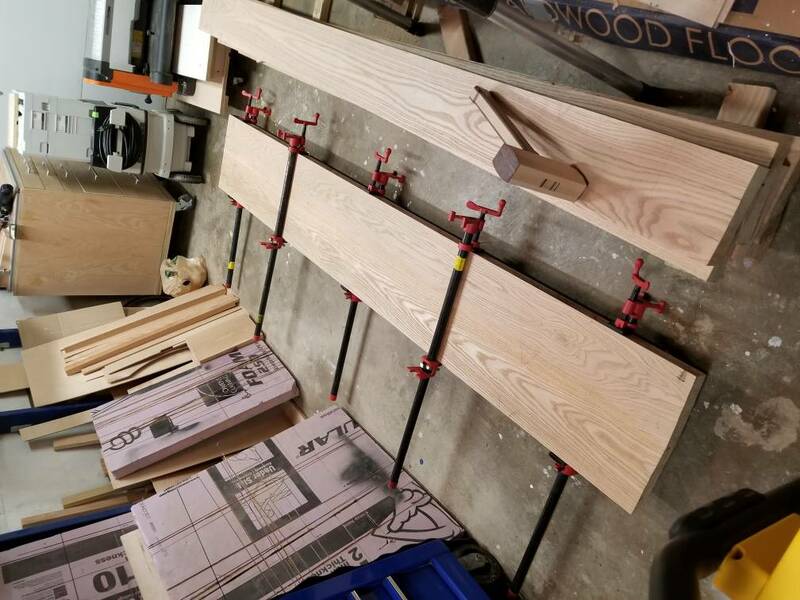 I was also careful with grain direction on the leg glue ups. I did a bunch of reading and could not find an absolute answer on this. But when laminate two boards together to achieve desired thickness (face gluing? 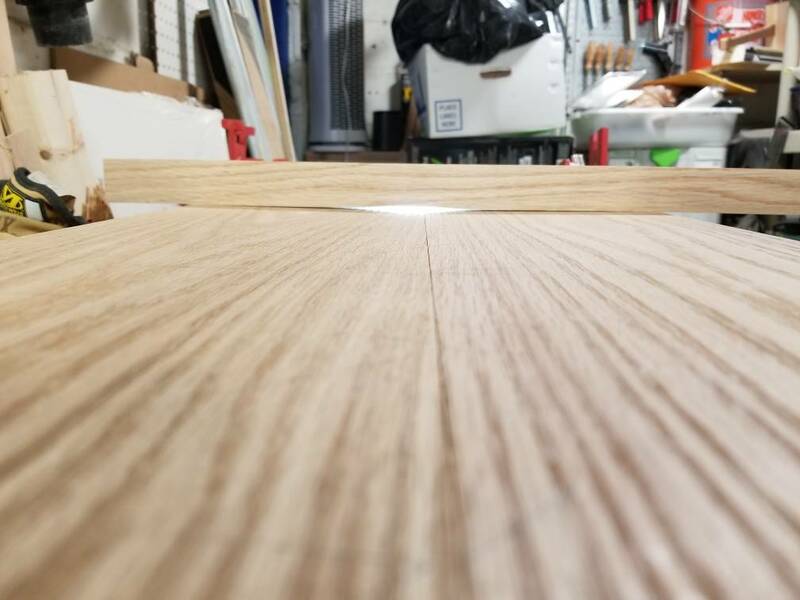 ), I had the grain going in the same direction on both boards. But when gluing up each half of the semi circles together (edge gluing? ), I alternated the grain. I guess only time will tell if this was the correct decision?